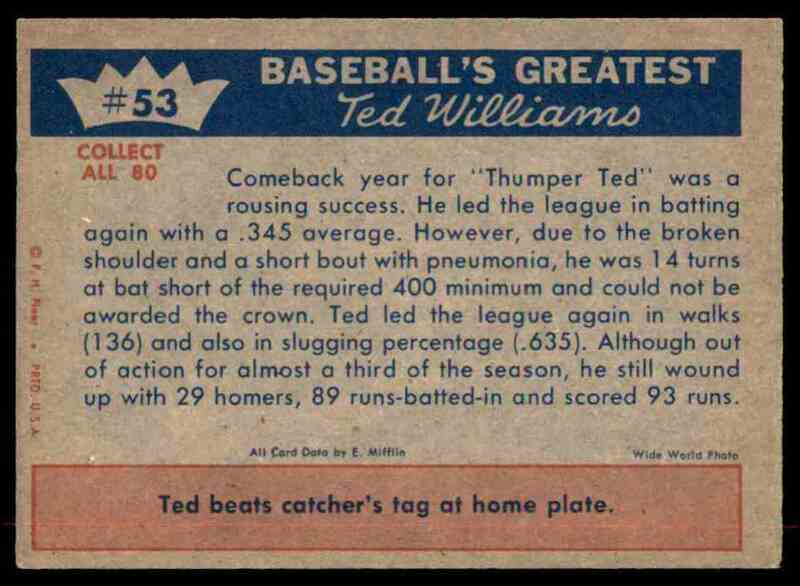 This is a Baseball trading card of 1954 - Ted's Comeback Is A Success. 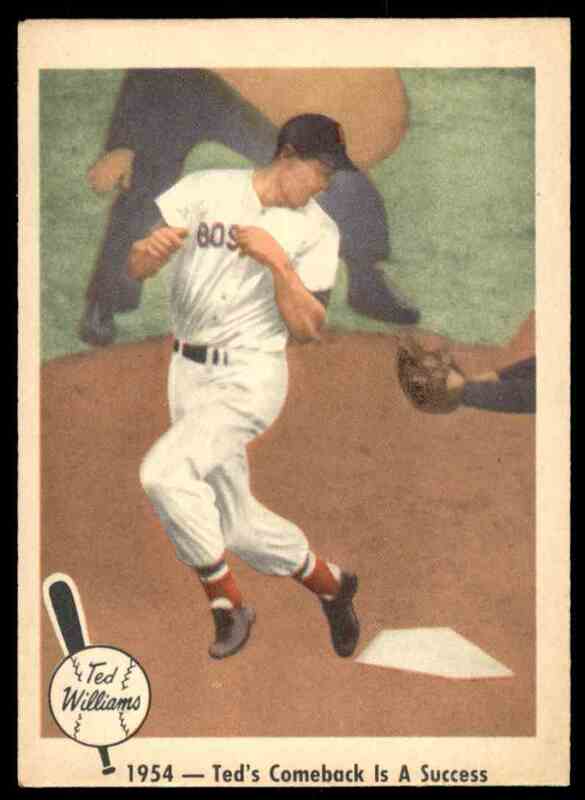 It comes from the 1959 Fleer Ted Williams set, card number 53. EX-Mt Blr11w1. It is for sale at a price of $ 6.99.